Fourstaff members at a nuclear power plant in Guangdong have been punished for breaching ¬operational guidelines and trying to cover up the failures, the Ministry of Environmental Protection said this week, more than a year after the incident took place. Three staff at the Yangjiang nuclear power plant in Guangdong, about 220km north of Hong Kong, were given administrative warnings, while the crew’s leader, Wei Haifeng, was stripped of his senior nuclear operator’s licence, a severe punishment. Their actions caused a heat ¬removal pump on one of the key reactors to stop functioning for six minutes at the plant, the first to go online in China after the 2011 -Fukushima nuclear disaster in Japan. The operators then tried to cover up the incident by failing to log it as required, the ministry said. The incident did not result in a radioactive leak or pose a direct public safety threat, two nuclear experts said. According to the ministry, the breaches occurred on March 22, 2015 when the reactor was undergoing maintenance. The pump is a crucial part of the reactor’s water cooling system. The plant’s developer, China General National Power Corp, told the South China Morning Post the incident did not affect plant safety because it occurred during maintenance. It also said it did “thorough analysis and a deep ¬review” after the incident and initiated a “safety culture re-education” campaign among all staff. It said the incident was discovered during “self-assessment” in February and it reported it to the ministry’s nuclear safety bureau “in a timely manner” for sake of “credibility and transparency”. But some experts warned the incident exposed human weaknesses in nuclear safety in China. China has embarked on a ¬nuclear power spree, aiming to develop 58 million kWh of nuclear power capacity by 2020 to ¬account for 5 per cent of overall energy supplies. It is also promoting its nuclear technology overseas. Revealing further details about the incident, a former National Nuclear Safety Administration employee said that as soon as the pump stopped working due to the crew’s operational error, an alert popped up in the central control room. Controllers immediately contacted the maintenance crew, asking what happened. Meanwhile, backup pumps started to avoid dangerous overheating. Wei, the crew leader who received the heaviest punishment, had worked more than a decade to earn his senior operator’s licence, a qualification that can cost millions of yuan to obtain. His experience should have prevented him or his subordinates from carrying out the “suicidal” operation which would almost guarantee the shutdown of the main pump, the expert said. “Why did they do this, that’s the question asked by many people in the industry. Even a cadet would have known it could lead to severe consequences,” the expert said. The ministry imposed the penalties on July 26 and posted a notice on its website on Tuesday. Kai Ji-jung, chair professor of nuclear engineering at City University, said a residual heat ¬removal pump was mainly used to cool the system as a backup in the case of an accident or power failure, so a six-minute stoppage under normal operations was not too big a technical safety issue. “The bigger safety issue is the breaching of regulations as an operator is required to report this to the regulatory body within a given time frame,” he said. 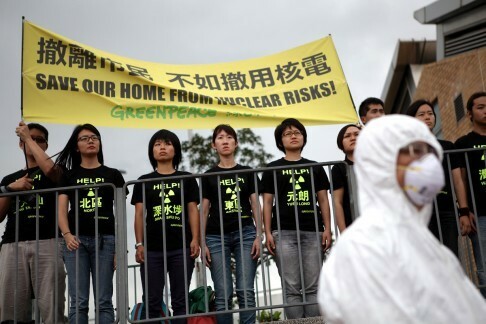 Greenpeace senior campaigner Frances Yeung Hoi-shan questioned why Hong Kong was not informed under the notification mechanism it has with Guangdong over nuclear accidents or events in the province. “The fact that it was covered up is frightening. No one knew about this until a year later,” Yeung said. The Security Bureau said it was aware of the event but would not say if the plant informed the Hong Kong government. Dr Raymond Ho Chung-tai, chairman of Guangdong Daya Bay Nuclear Power Station and Lingao Nuclear Power Station Nuclear Safety Consultative Committee, said such human errors needed to be rectified but his was a learning experience for the plant’s operators. Xu Yuming, deputy secretary general of the China Nuclear Energy Association in Beijing, said the public reporting of the incident showed improved transparency on the government’s side. The notice about the punishment was among a series of administrative orders and notices published on its website. The ministry did not reply to requests for comment and information on Thursday. The Yangjiang nuclear power station went into commercial operation in March 2014. It was based on the CPR-1000 design found in most Chinese nuclear reactors commissioned since 2010. In 18 years an agreement under which Hong Kong imports a large chunk of its electricity from Guangdong province is scheduled to come to an end. The power is generated at Daya Bay Nuclear Power Station in Shenzhen. That station’s two pressurised water reactors produce 14 billion kilowatt hours of electricity per year. Nearly 80 per cent of that goes to Hong Kong and the rest to Guangdong. But 2034 will also mark the 40th year of operations at the 1,868 megawatt facility. That’s the minimum age at which an average nuclear power plant must be decommissioned and cleaned up, a costly and complex process that many nuclear powers around the world are only recently beginning to fathom. As the world marks the fifth anniversary of Japan’s Fukushima disaster this week, energy experts and environmentalists are debating whether there is a nuclear future in Hong Kong beyond 2034. Pro-nuclear voices believe fission is still the most reliable and stable “baseload” energy source for Hong Kong – one that emits virtually no carbon and is neither subject to the price swings of fossil fuels nor hindered by the supply constraints of renewable energy such as solar and wind. Anti-nuclear groups believe the 2011 disaster gives reason enough for any country to phase out nuclear power. For Hong Kong and the densely populated Pearl River Delta region the possible impacts of a Fukushima-style breakdown are especially high. Globally, the nuclear industry appears to be struggling. According to the World Nuclear Industry Status Report, 398 plants are now operating, down from 431 the year before Fukushima. With energy prices still bottoming out, competition from cheap coal, gas and subsidised renewables has muscled its way into the equation. Steve Thomas, professor of energy policy at London’s University of Greenwich, said because of these issues, the prospects of nuclear, especially in America and Europe, are being limited. In East Asia, nuclear power’s future is unclear post-Fukushima. As China and South Korea look to build more reactors, Taiwan’s new government has set a policy of phasing out nuclear by 2025. Even in Hong Kong the gap in unit cost between nuclear and the likes of coal and gas has widened. Thomas also pointed to the cost of disposing of spent nuclear fuel “waste” and decommissioning plants. For example, despite a pledged permanent waste facility for Daya Bay’s spent fuel rods, they are stored in a temporary facility a few kilometres from the plant, sparking safety concerns. “Governments don’t care too much about the decommissioning of plants or the cost of waste disposal because it so far down the line, but in the end, consumers will have to pay,” said Thomas. CLP, the Hong Kong power company supplied by Daya Bay, said the plant included the charge for spent nuclear fuel and the cost of station decommissioning in the future, “with the intention that future consumers will not pay for today’s consumption”. Hong Kong’s Environment Bureau remains tight-lipped on anything electricity-related beyond 2025. In an interview with the Post last November, Environment Secretary Wong Kam-sing said the government would maintain an “open attitude” to nuclear after the Daya Bay contract ends. Last year, the government announced that half of its power needs after 2020 would come from locally generated natural gas, with an unchanged 25 per cent from nuclear power. A spokesman for CLP said the reactors at Daya Bay were, like most others, designed to last 40 years, but the life of most modern reactors could be extended up to around 60 years. “Given that we still have 18 years to go to 2034, it is too early to comment on its operating life or nuclear power purchase beyond that point,” he said. The company said the cost of nuclear was relatively stable since a large portion of it covered construction and only a small portion covered cost of nuclear fuel. An Environment Bureau spokesman said importing power from the mainland grid remained a feasible option in the long-term. But he would not comment on specific details as it would “jeopardise” the government’s position and consumers’ interests amid discussions with the city’s two power suppliers on a new regulatory framework after 2018. He said a study would be commissioned to look at how interconnection between the mainland’s and Hong Kong’s grids could be strengthened as well as that between the existing grids in the city. Energy economist Dr William Yu Yuen-ping, a member of the government’s Energy Advisory Committee, said nuclear would most likely remain in the fuel mix, being the practical choice. “From a perspective of energy policy, nuclear’s function as baseload power source will give Hong Kong impetus to keep nuclear in the mix [after 2034],” Yu said, who also heads the World Green Organisation environmental group. Yu doubted there would be enough renewable energy, with the unpredictability of sunlight and wind speeds, to fill the shortfall without the city having to increase its reserve capacity. He also doubted that natural gas could replace it, given its volatile prices. Dr Luk Bing-lam, who chairs the Hong Kong Nuclear Society, an academic association that champions “nuclear literacy”, said another factor for Hong Kong to consider would be the mainland’s expansion in nuclear capacity, which the central government aims to double by 2020. 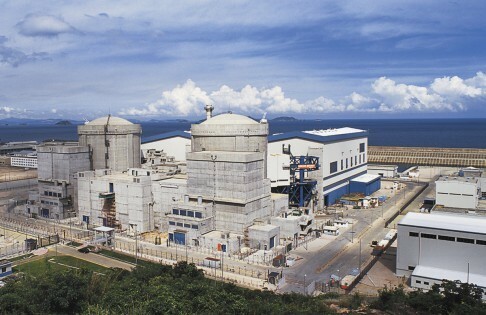 If Daya Bay was headed for decommissioning, Luk urged the government to make a decision soon on whether or not nuclear would continue to be a part of Hong Kong’s future fuel mix. 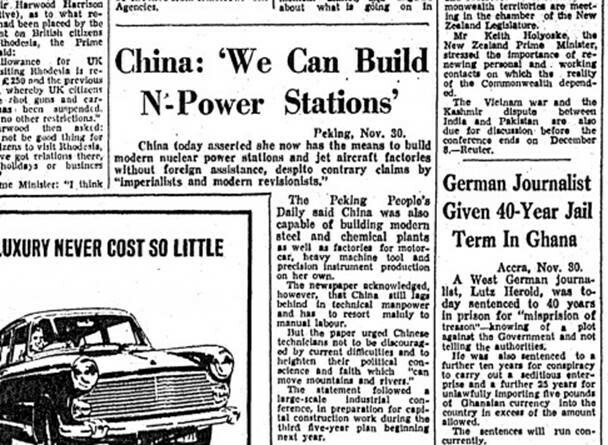 “Competition for nuclear with other Chinese cities will heat up,” Luk said. He suggested that the government and CLP could consider tapping into nuclear from four reactors at the neighbouring Ling Ao plant, which – unlike Daya Bay – CLP does not have a stake in. 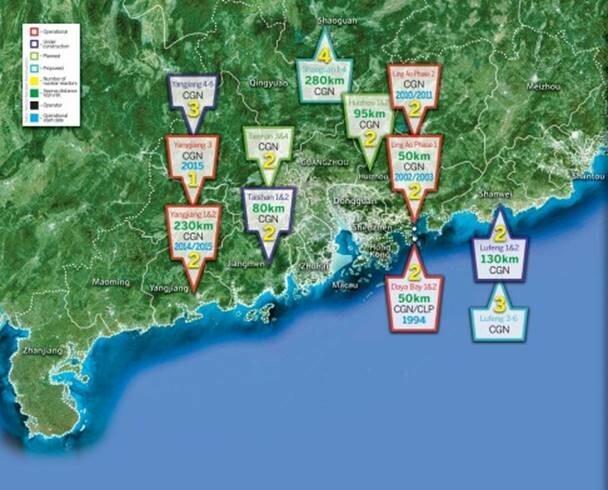 Greenpeace Hong Kong argues there is no rationale for continuing nuclear in Hong Kong’s fuel mix given the dangers of a Fukushima-style collapse near a densely populated region. They also point to the dubious safety standards and speed of construction of mainland nuclear plants. As many as 39 reactors, spread across Guangdong province could be up and running within close proximity to the city in the next few decades. Greenpeace senior campaigner Frances Yeung Hoi-shan urged the government to boost efforts into promoting energy efficiency and to incentivise using renewables. “Hong Kong should go nuclear-free by 2034,” she said. But how difficult would it be for a city with such a narrow portfolio of fuel choices to ween itself off nuclear as the nation supplying it with nuclear continues to boost the share of atomic energy in its fuel mix? Yeung pointed to the example of Seoul, South Korea, a city of 10 million which, through tough action by its municipal government has been able to promote more decentralised generation, more renewable energy production and energy sharing schemes, to reduce dependency on nuclear energy from power plants across the country. 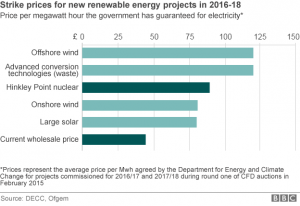 This flies in the face of the national government’s policy, which is commits it to increasing the number of nuclear reactors from 24 by the end of 2015 to 26 by 2030. “Hong Kong officials keep saying everything is too difficult, too expensive,” said Yeung. GE Hitachi Nuclear Energy (GEH) and DTE Energy announced plans to explore advancing the detailed design of the Economic Simplified Boiling Water Reactor (ESBWR). According to GEH, the ESBWR is the world’s safest approved nuclear reactor design based on core damage frequency. The reactor has advanced passive safety systems, and is designed to cool itself for more than a week with no onsite or offsite AC power, or operator action. GEH applied for a Standard Design Certification with the U.S. Nuclear Regulatory Commission (NRC) on August 24, 2005. The NRC certified the ESBWR design on Sept. 16, 2014. On May 1, 2015, the NRC issued DTE Energy the first-ever ESBWR-based combined construction and operating license. Although DTE has not committed to building a new nuclear unit, it is keeping the option open, for long-term planning purposes. The proposed reactor would be added to its Fermi site near Newport City in Monroe County, Michigan. The ESBWR program started in the early 1990s with GE’s Simplified Boiling Water Reactor (SBWR) design rated at 670 MW, which was augmented with features taken from the NRC-certified Advanced Boiling Water Reactor (ABWR). GE submitted the SBWR application for final design approval and design certification in August 1992, but withdrew the application in March 1996 because the power output of the SBWR was too small to produce acceptable economics for a new-build project. Instead, it shifted its focus from the SBWR program to plants of 1,000 MW or larger, such as the ABWR and ESBWR (Figure 1). The ABWR was beginning to take hold in Japan, with the completion of four units and a couple more units under construction when the Fukushima disaster occurred, putting the brakes on the entire industry. The ESBWR is said to use about 25% fewer pumps and mechanical drives than reactors with active safety systems, and to offer the lowest projected operating, maintenance, and staffing costs in the nuclear industry on a per-kW basis. In addition to DTE, Dominion Virginia Power has selected the ESBWR as their technology of choice for a potential third reactor at its North Anna site. GEH said it expects the NRC to license that project in 2016. Smog is a major problem facing Beijing and many other places on earth today. It is also a reminder that environmental pollution has reached a critical point in human history. The recent documentary Under the Dome, an in-depth report on environmental problems in China by Chai Jing , has triggered a heated debate over the credibility of its sources. But the debate has sidestepped one of the critical issues facing humanity: greenhouse gas emissions and their impact on the environment and the sustainability of earth. Energy is a necessity in modern life. Our dependence on electricity has left noticeable carbon footprints on nature. Of the broad spectrum of energies, fossil fuels (coal, natural gas and oil) are still the major energy sources for electricity generation, accounting for 67 per cent of world electricity production as of 2012, in spite of pledges by governments around the world to increase the use of renewable green energies. The rest comes from cleaner energies like hydroelectric (17 per cent) and nuclear (11 per cent). According to the Intergovernmental Panel on Climate Change, approximately 37 per cent of total carbon dioxide emissions are from electricity production, especially from burning coal. The level of atmospheric carbon dioxide is building up and that build-up is accelerating as electricity demand is expected to increase by 43 per cent over the next 20 years. Nuclear energy, in comparison, ranks among the lowest of any electricity generation methods in terms of greenhouse gas emissions and is comparable, on a life cycle basis, to wind, hydropower and biomass energy. It emits one-fifteenth and one-thirtieth as much greenhouse gas as natural gas and coal respectively. And yet, nuclear energy has been a controversial topic ever since its adoption for commercial use. There are as many opinions about this problem as there are experts. While it is praised as one of the possible solutions to the energy shortage, it is condemned by others as “an unbearable inheritance” for future generations. The nuclear accident at Fukushima Daiichi nuclear plant in 2011 brought the safety concerns sharply into the public eye again. People are haunted by the fear of nuclear disasters when, in reality, nuclear energy has a strong safety record. Nuclear power plants achieve a high degree of safety by using what is called the “defence-in-depth” approach with multiple physical barriers built into their operation. These physical barriers prevent operational disturbances or human failures and errors, which have been found to be the cause of 80 to 90 per cent of mishaps. Even the Fukushima nuclear accident, triggered by a magnitude 9 earthquake and catastrophic 14-metre-high tsunami, has been defined as “a profoundly man-made disaster”. According to a report published in the March 2013 issue of Environment Science & Technology by scientists from Nasa, nuclear power has made greater contributions to the welfare of humankind than all other energies in use. The report pointed out that, even taking into account the serious consequences of the three biggest nuclear disasters in history, the benefits derived from the use of nuclear power between 1971 and 2009 have helped to prevent 1.8 million deaths resulting from causes related to the use of fossil fuels, especially coal. Also, according to a December 2013 Lancet article by Chen Zhu, China’s former minister of health, and his colleagues, air pollution causes 350,000 to 500,000 premature deaths on the mainland each year. The main polluters are industry, coal and vehicles. This is believed to be a conservative estimate, and provides further evidence that carbon dioxide reduction is a necessity. At present, nuclear power plays a significant part in a spectrum of energies in producing base-load power (a dependable source that can meet minimum demand) and this will continue for the foreseeable future. The other energy sources used for base-load power are fossil fuels. In the past, increased use of nuclear energy to replace fossil fuels has contributed to a reduction in carbon dioxide emissions. Therefore, it will be devastating to continue the use of fossil fuels for base-load power instead of cleaner energies. People demand nuclear safety, and yet tend to turn a blind eye to the adverse environmental impact of fossil fuels and the millions of deaths caused by coal mining. With modern technology and increases in oil prices, non-traditional fossil fuels such as oil sands in Canada, pre-salt deposits in Brazil and shale oil in the US have been discovered in abundance since the beginning of this century. Yet the development of this new generation of fossil fuels will do nothing to reduce water and air pollution but in fact will create more severe pollution than traditional oil because of the extraction methods. There is no free electricity. Given that different energies involve different levels of risk and environmental pollution, we should adopt a rational and scientific approach to policymaking. The cost of using electricity must take into account the economy, the costs of electricity generation, transmission and transformation, the sustainable well-being of the environment, safety, reliability, and other social and psychological factors. Consumers could choose what combination of various sources of electricity they are willing to accept and then be charged in accordance with the declared percentage, the amount of the electricity consumed, the production cost and the cost of the risk. We cannot afford to continue to overlook the phenomenon of global warming. The true cost of electricity should be shared by everyone. 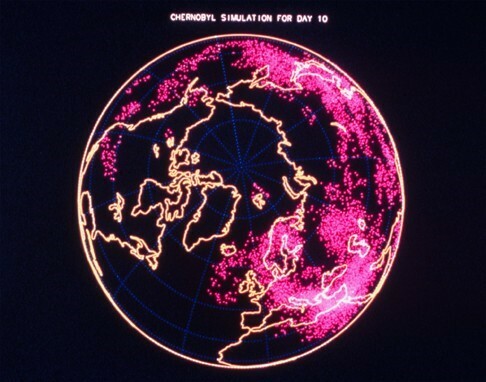 It was Valentine’s Day when the nation’s only radioactive nuclear waste facility first released radioactive particles including Plutonium and Americium into the atmosphere of New Mexico and beyond, including into Texas, Oklahoma, and Mexico. Earlier that same day, the New Mexico Environment Department opened the public comment period on an application to modify and expand that nuclear waste facility, which the department said it planned to allow. The first thing the U.S. government and the government contractor charged with running the supposedly secure radioactive waste project immediately did, when faced with the first-time-ever release of radioactivity from the underground site, was not tell anyone anything. They told no one the truth for four days, even though the truth didn’t seem all that bad, as such things go. Unless contradictory data emerged, this would seem to be a brief release of a relatively small amount of very dangerous isotopes from nuclear weapons waste stored half a mile underground in a salt deposit. While the full scope of the release remains unknown weeks later, it seems clear that this was no Fukushima, except for the operators’ default to instant deceit. The press release expanded on its false reassurance by saying: “Multiple perimeter monitors at the [facility’s] boundary have confirmed there is no danger to human health or the environment. No contamination has been found on any equipment, personnel, or facilities.” No one was exposed, the press release implied, and added further details to reinforce the “no danger to human health or the environment” claim that is so often the first thing the nuclear industry says about any “event,” regardless of what people may or may not know to be true. Other press releases maintained this official story for several days.